This book presents a diverse set of approaches to a wide range of map forms and activities in what is presently a rapidly changing field. It employs a multi-disciplinary approach to important contemporary mapping practices, with chapters written by leading theorists who have an international reputation for innovative thinking. Much of the new research around mapping is emerging as critical dialogue between practice and theory and this book has chapters focused on intersections with play, race and cinema. Other chapters discuss cartographic representation, sustainable mapping and visual geographies. It also considers how alternative models of map creation and use such as open-source mappings and map mash-up are being creatively explored by programmers, artists and activists. There is also an examination of the work of various ‘everyday mappers’ in diverse social and cultural contexts. This blend of conceptual chapters and theoretically directed case studies provides an excellent resource suited to a broad spectrum of researchers, advanced undergraduate and postgraduate students in human geography, GIScience and cartography, visual anthropology, media studies, graphic design and computer graphics. 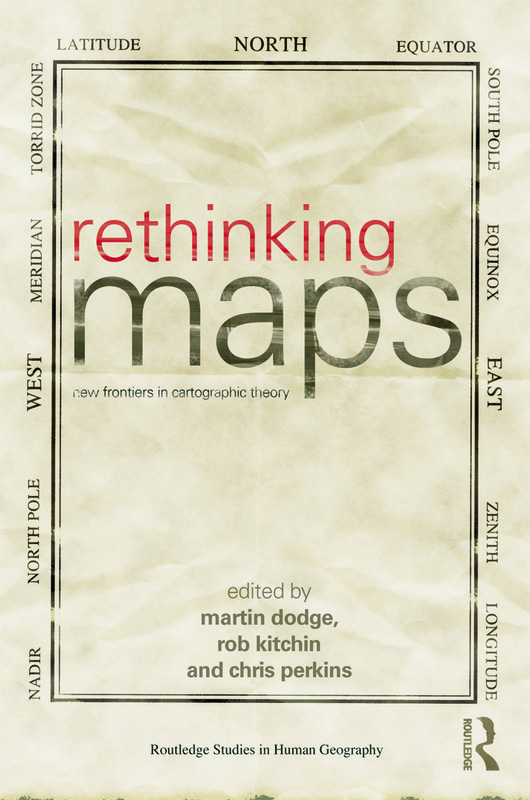 Rethinking Maps is a necessary and significant text for all those studying or having an interest in cartography.